Jennifer is anything but socially awkward. 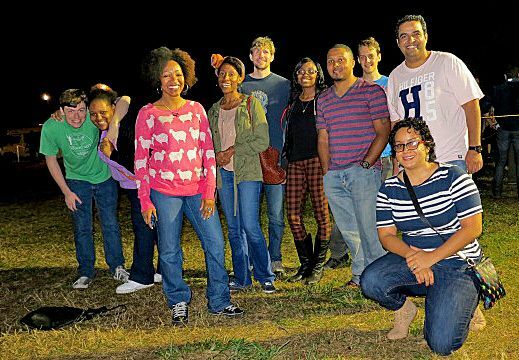 The Meetup she organizes is jam packed with awesome activities—even outgoing locals would call it one of the most active and fun loving groups in Memphis. You’d never guess that Jennifer heads up the Memphis Shy Guys Meetup— A Group for the Shy and Socially Awkward. While Meetup might seem like a strange destination for those with social anxiety—face to face interactions with strangers? !— it works wonders for members, and Jennifer’s Shy Guys are proof. Her members come out in droves for Meetups like ‘Trivia Night’ and ‘Salsa Dancing’—not exactly activities for the faint of heart. There are over 600 Social Anxiety Meetups, and over 400 Shyness Meetups worldwide. Some of them are public, some of them are private, but all of them are designed to support members through a fear of social situations. When Jennifer set out to start her group she did some simple math. “There are 7.125 billion people on Earth, 316.1 million people in the United States, 6.5 million people in Tennessee, and 653,450 people in Memphis,” she says. “I figured I can’t be the only one who’s shy and socially awkward.” We’re happy to report that she was right—today her Meetup is over 250 members strong. Jennifer founded her Meetup in July 2013, but it took a few months for the group to hit its stride. “At the beginning, people would RSVP but I was the only one who showed up,” she recalls. But Jennifer remained hopeful, and persistently scheduled activities month after month, until she finally hit the jackpot with a bowling Meetup that turned out to be a ball. Today Jennifer runs successful, well attended Meetups several times a month. Her advice to fellow Organizers? “When you first start the group, it may be slow for months, but don’t let it discourage you! They WILL start to come.” She’s also a big believer in keeping activity up. “Try to do at least 2-3 Meetups a month. More Meetups = more exposure = more members.” Clearly she’s onto something good.